Learn about how to manage build out costs and negotiate tenant improvements (TI), resources, lease language, landlord & general contractor relations, and facility build out costs vs. real value. Having a smaller space and lower build out costs are attractive to the start-up, which is what you are. Build-out is also referred to as tenant improvements or TI in lease contract language. This is the potential allowance that the landlord will allow you per square foot to manage the improvements made to the interior of your space. After your budget is reached, typically the remaining balance is your (the tenant) responsibility. This is the case unless of course you negotiate something different on the front end. Perhaps you would like to roll up the additional improvements costs into the cost of the lease, in essence spreading the additional cost of improvements over the life of the lease and preventing you from having to come out of pocket in the beginning. As noted in the introduction article; The Business of Fitness, one of the key points mentioned in planning your fitness facility business deals with the Build Out or Tenant Improvements. This is important simply because it relates to the initial investment you will dealing with. Tenant Improvements (TI) will involve any of the changes made after the possession of the property is taken. In many cases, the landlord or building management will provide a tenant allowance when negotiating your lease agreement. This is something you should be aware of in the beginning as you move through the negotiation process. An alternative to tenant improvement allowances may be presented in the way of free rent. A landlord may offer a number of months without having to pay rent or several months at a reduced rent payment. Resources: What resources does the landlord or building owner have available? Do they have access to the cash they need to provide you with the tenant improvements you are looking for? Return on Investment or ROI: The landlord has to weigh their investment options. They are always interested in seeing their investment and the sooner the better. Return of Investment: Landlords and building owners like to also see the return of their investment. The scale of investment vs. return must show the break-even point and the point where they actually see the return of their initial investment. Investment Options: Landlords and commercial building owners are in the business to earn money. More so, profit. The landlord and building owners most likely have other options for investment opportunity and at some point they must weigh the second and third point in this section when they are deciding how to proceed with tenant improvement allowances or use those resources in other places that will provide a quicker return on investment as well as return of investment. Your first option is to offer to sign a longer lease period. A longer lease period will provide the landlord with stronger statement and forecasting, which will in turn reduce the exposure or risk of releasing the space. Releasing the space will ultimately produce costs that the landlord would like to avoid. Amortize part of the tenant improvement costs. Amortizing part of the costs of improvements will increase the cost of occupying the space, but it will decrease up-front costs. Be aware that many times a landlord or building owner already has a relationship with a General Contractor that they like to work with. In these cases, the landlord will stipulate that all building improvements must be completed by this favored General Contractor. In the event that this is the case for you, it is simply good business to have language written in your lease agreement that provides you the option to have another contractor to verify both process and costs before allowing work to be done. Even though the landlord is providing you with tenant improvement allowances and it doesn’t feel like it is coming directly out of your pocket, at the end of the day it is coming directly from you as you have had to give up something for this allowance. Are you looking for help with build out? 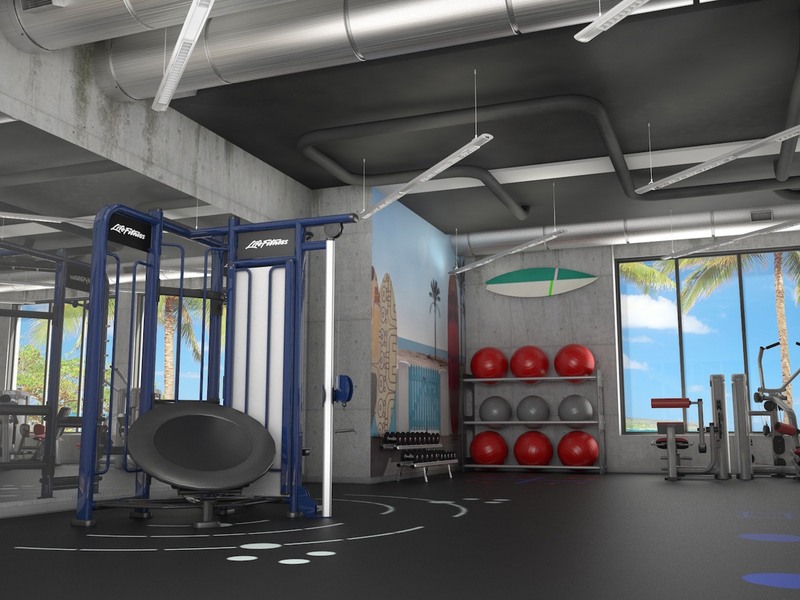 If you need help learning how to build-out you fitness facility, we want to hear from you. After you contact us – don’t forget, we can support your facility, website, personal training, and group exercise programs. Yes, it’s free – always.